Fedor Emelianenko will be wearing this shirt in his StrikeForce debut on Nov. Fedor is considered as one of the best fighters in the world and will fight the powerful heavyweight Brett Rogers. 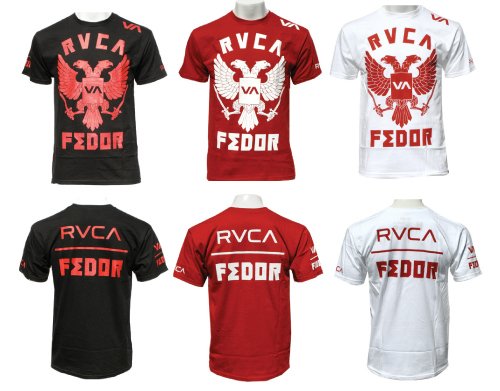 The Fedor shirt features a bold design from RVCA. It has the warbird crest on the front and a simple RVCA / FEDOR text on the back. Shirts made by RVCA are certainly our favorites. They have developed a unique shirt that displays a distinctive vintage look. 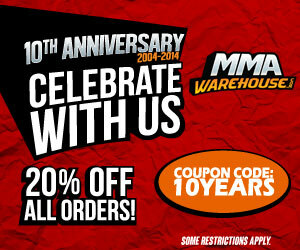 It’s a style that’s refining the MMA clothing industry today. We think that Fedor’s shirt is of the best looking MMA T shirts we have seen in a while.